Sports Direct boss is the first big name in the hat to rescue HMV, Getintothis’ Luke Halls has the latest developments on the music retailer. Sports Direct boss Mike Ashley is considering a rescue bid for HMV which collapsed into administration last month. Ashley is understood to have held talks with suppliers about a rescue deal, which could see him link the music and film retailer to his high street empire including House of Fraser, Sports Direct and potentially Game Digital, in which he owns a 25% stake. A successful deal for HMV’s 125 stores would see Ashley grab another major slice of the high street following Sports Direct’s acquisition of the bike specialist Evans Cycles in October, and department store chain House of Fraser in August, both of which were bought out of administration. The entertainment retailer first fell into administration in 2013, largely a result of an industry-wide decline in physical format sales and ever-increasing overhead costs. The company was later purchased by Hilco, resulting in a cut in store and employee numbers nationwide. Following the recent news of December 2018, the household favourite turned to audit, tax and advisory firm KPMG for guidance. Ashley is understood to have tabled a bid to HMV’s administrators at KPMG last week, as have a number of interested parties thought to include Elliott Advisors, which bought the Waterstones bookstore chain last year. Consequently, its accountants set Tuesday, January 15 as the deadline for acquisition offers by new groups. KPMG Administrator Will Wright revealed details where the business currently stands. 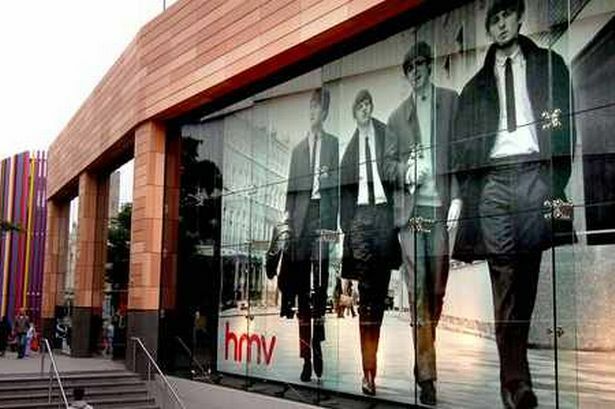 it has also been rumoured that online entertainment giant Amazon had shown interest in HMV. Whilst final bidders are yet to be revealed, it is widely assumed that a buyer will indeed be found – however, once more at the cost of its staff and store figures, which will almost be certainly cut again. Wright continued to suggest a glimmer of hope for the media retailer, drawing attention to an array of parties providing a range of support. This news comes swiftly following Liverpool ONE’s HMV relocation in 2018. The media outlet moved from its flagship on South John Street to smaller premises on the upper tier of the shopping area.